Britain’s Home Office is “disregarding and mistreating” medical evidence of torture in order to reject asylum claims, a charity has claimed. The report by Freedom from Torture says caseworkers with no clinical experience are overriding reports of torture by specialist doctors. 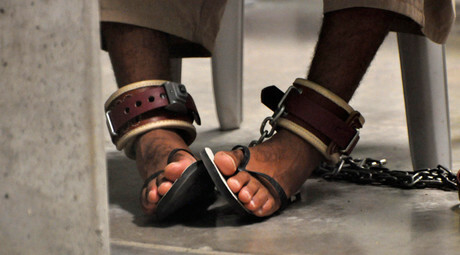 In turn, vulnerable people are at risk of being returned to the countries where they were tortured. It also accuses Amber Rudd’s department of failing to implement robust policies and training programs for handling evidence of torture drawn up when Prime Minister Theresa May was home secretary. “Many asylum caseworkers approach their task with an underlying presumption that the allegation of torture is false and view medical evidence as an obstacle to be ‘got around’ in the process of justifying why the claim should be refused,” the report says. The study, which involved 50 asylum claims by torture victims over the course of 2014-15, found three quarters of those refused by caseworkers were overturned on appeal at significant cost to the taxpayer. In many cases, there had been “egregious mishandling of medical evidence,” Sceats says. In each of the 50 cases highlighted by the charity, the person’s asylum claim had initially been rejected. Twenty-nine of the cases have since been resolved and in 22 of these, asylum was granted on appeal. The remaining cases are still active. Freedom from Torture produces medical reports when lawyers for asylum seekers who say they have suffered torture, instruct clinicians and other healthcare professionals at the charity to carry out detailed assessments. Juliet Cohen, the charity’s head of doctors, said caseworkers would often look “scar by scar” at the injuries on a person and rule out torture because there was a theoretical possibility of another cause for the injury. “There is a massive human cost for those affected. I’ve examined a lot of people who have been refused and their mental health takes a terrible dive — they’re in fear, they’re anxious, any condition they’ve already got is magnified a thousand times as they are in dread of being returned,” Cohen said.